For your clients, a relaxing and rejuvenating nail session can be a pleasant distraction from the stress of day-to-day life. Whether they’re receiving a manicure or a pedicure, booking an appointment with you undoubtedly provides your clients with a restorative moment of tranquillity – and when they’re finished, the results speak for themselves! That said, your clients most likely lead busy lives – and when responsibilities and obligations begin to pile up, finding the time to book with you can prove difficult. Over time, your previously most frequent customers might end up becoming your most infrequent customers, leaving you to wonder – what happened? There are easily a million explanations as to why a customer might suddenly drop off the radar. But thankfully, there’s one easy way to get a large percentage of your customers back while generating more sales in the process. With Yocale’s Automatic Rebooking Reminders, scoring more repeat business for your nail salon is practically effortless. And because Yocale’s text and email reminders are fully automated, Yocale attracts business right to you, with little additional effort on your part. But of course, you don’t have to take our word for it. Ready to delve a little deeper? Let’s take a look! 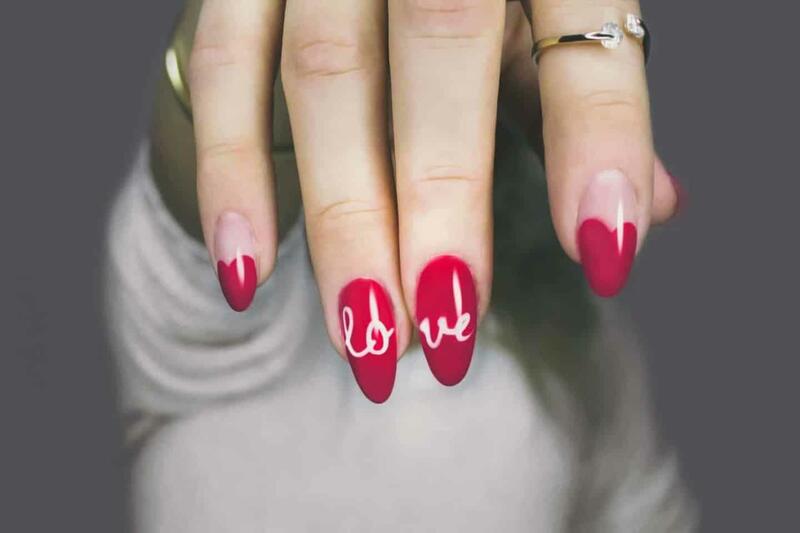 It’s safe to say that repeat customers are the “bread-and-butter” clientele of any nail salon. That’s because repeat customers are much more likely to spend more than any other slice of your client base. But, the importance of repeat customers doesn’t stop there. In fact, researchers have found that businesses with 40% repeat customers generated nearly 50% more revenue than similar businesses with only 10% repeat customers. So, what gives? Well, the underlying foundation of repeat business is built upon trust and faith in your services – and that’s invaluable. Both trust and faith keep customers coming back again, and again, and – well, you get the picture. On the other hand, it’s typically much more time consuming and expensive to pursue new client acquisition. Building a solid rapport with new clients takes time and energy, and it’s an organic process that can’t be rushed or expedited. Certainly, attracting new clients demands some of your attention. But there’s no reason to focus exclusively on attracting new business if you already have an existing lucrative client base that’s practically sitting right in front of you! Since you opened your doors, the odds are that you’ve built up a robust, loyal clientele – all that’s left is to bring them back around. And that’s where Yocale comes in. With Yocale’s Automatic Booking Reminders, you can achieve a level of synchronicity with your existing clients via effective, smart reminders that keep them coming back for more. Yocale’s reminders are sent by SMS text or email and are designed to be effectual – but not obnoxious or intrusive. In fact, Yocale is completely flexible and allows you to customize your reminders to fit the preferences of each of your clients. Not all appointment reminders are created equally! Although it might seem both subtle and effective, merely stating “we hope to see you again soon!” to your clients once their appointment concludes doesn’t quite stick. For most clients, tangible reminders are much more influential. That’s why Yocale utilizes timely SMS text and email rebooking reminders to keep your clients in-the-loop. This way, they’ll receive an unobtrusive, gentle reminder sometime during their day in the future that serves to overcome any forgetfulness or inattention. SMS reminders specifically have been found to be highly effective. In fact, it’s estimated that 90% of all text messages are read within 3 minutes of their delivery – so if you want to make a point with your rebooking reminders, we’ve got your back. In addition to format, when it comes to effective reminders, timing is also of the essence. Sending out a rebooking reminder too soon after a client’s appointment concludes isn’t likely to yield any results. On the other hand, sending a reminder too late may also prove to be largely ineffective, since clients may have moved or may otherwise no longer require your services. Instead, effective rebooking reminders are sent somewhere in between – and finding that “sweet spot” can prove challenging. Depending on the preferences and lifestyles of your clients, it’s very likely that time-sensitive reminders will work better due to a variety of personal factors. That’s why Yocale allows you to customize your rebooking reminders for each of your clients via their respective client profile. In just a few clicks, you can set up a client to receive reminders once a month following their last appointment, or after a larger window of time. You can even specify a reminder time range so that if your client remains inactive, they won’t continually receive appointment reminders in the interest of respecting their time. Remember – Yocale is built to meet the unique needs of your business – no matter what they are! You might be wondering – so how does all of this work, anyway? Fair question! Fortunately, it’s easier than you think. Yocale is entirely browser-based, so as long as you have an internet connection on an internet-connected device, you’re good to go. Just log in to your Yocale account, head to your dashboard, and start setting up your rebooking reminders in seconds! With Yocale, we include Rebooking Reminders as a part of what we call Interactions. You can access your Client Interactions at any time by heading to a client’s profile. To do this, navigate to Clients > Business Clients via Yocale’s top navigation bar. From here you’ll see a list of all your available clients. 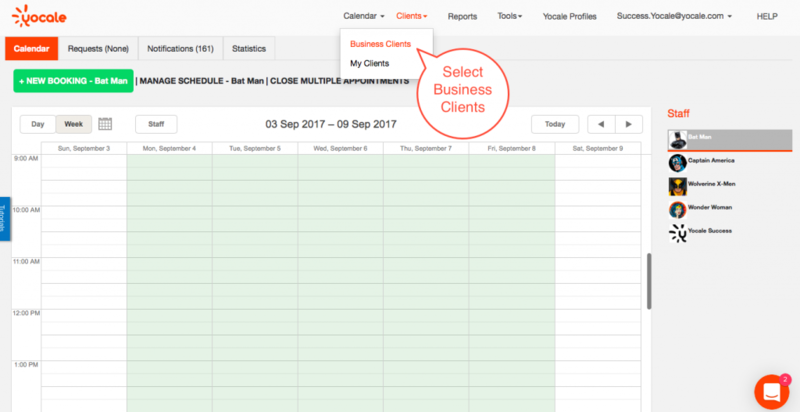 Once you’ve located the client you’d like to enable or customize Rebooking Reminders for, click the View Details button beside their name. Now that you’re looking at the client’s profile, click the Interactions button. Here, you’ll be able to enable and/or customize your Rebooking Reminders for that client. 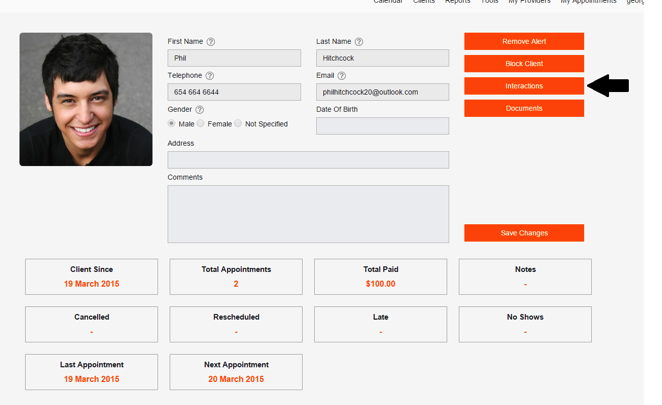 With the “Follow-up On …” option, you’ll be able to send the client a rebooking notification at a specific date. Alternatively, you can enable the “Follow-up Every …” option to send rebooking notifications every month, or every few months depending on your selection. You can also opt to send either Email or SMS (text) reminders depending on your preferences, as well as the preferences of that client. Below the options panel, you’ll be able to see any upcoming scheduled rebooking reminders, as well as any that you’ve sent previously. 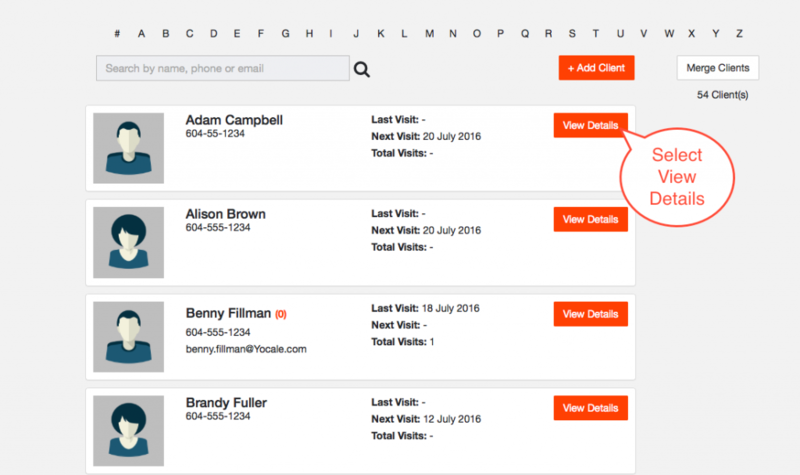 With Yocale’s Automatic Rebooking Reminders, it’s nearly effortless to begin winning back your clients. By sending strategic and effective reminders, you’ll be able to boost repeat business and generate impressive profits with little additional effort on your part. Just set up your rebooking reminders to your liking, and we’ll do the rest! Getting started with Yocale is FREE – just click here to get started.